The News & Observer has reported that critics of former UNC learning specialist Mary Willingham have found instances of possible plagiarism in the thesis she wrote for a master’s degree at UNC-Greensboro in 2009. Willingham has been a central figure in UNC’s academic irregularities and their relationship to athletics; her controversial research suggested a number of Carolina athletes were ill-prepared for academic success in college. She cited what she said were practices in the Academic Support Center for Athletes that she said enabled athletes to remain eligible to play while doing substandard work. 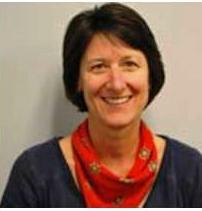 UNC hired Willingham in October 2003 as a part-time learning specialist in the athletics department. A little more than a year later, she was promoted to full time and began working extensively with athletes playing in revenue sports, including men’s basketball and football. She left the athletics department, disillusioned, in 2009. In January 2010, Willingham became the assistant director for the Center for Student Success and Academic Counseling, which assisted all Carolina students on an academic basis, according to the complaint. She was responsible for training tutors and overseeing, evaluating and managing the center’s programs. She resigned in May of this year, then sued the University, claiming that she was subjected to a hostile work environment after she helped publicize the fraud. Her research, done as part of the UNC-Greensboro thesis, has been criticized by UNC officials for having violated rules related to the use of the names of individual athletes and for what officials have called flawed research. The N&O said that over the past weekend, people who post to the message forum of insidecarolina.com had found examples in her thesis that “either mirrors or closely resembles other sources” and that she had used citations in some cases and not in others. “Harold ‘Skip’ Garner, a Virginia Tech biochemistry professor who created a website that catches plagiarism in scientific research articles, said some of the suspect passages are long enough to suggest they were knowingly copied. Sometimes, he said, writers will inadvertently copy from memory shorter phrases that they came across in their research. “‘It’s clear that in order to get something like a whole sentence or paragraph in, you did the [cut and paste] somewhere, and that should be an immediate signal that you should put it in quotes,’ he said. Willingham made national headlines in January after she asserted in a CNN story that she met many athletes whose reading and writing skills were substandard for college work. She said her research showed that 60 percent of 183 athletes between 2004 and 2012 who were considered upon admission to Carolina to be at risk for academic failure read between fourth- and eighth-grade levels and that 8 percent to 10 percent read below a third-grade level. Her findings drew swift denunciations from University officials, who for more than two years had been looking into so-called “paper classes” that had been taught in the former department of African and Afro-American studies and enrolled a disproportionately high number of athletes. In January 2010, Willingham became the assistant director for the Center for Student Success and Academic Counseling, which assisted all Carolina students on an academic basis. In this role, Willingham was responsible for training tutors and overseeing, evaluating and managing the center’s programs. That summer, the NCAA launched a probe into UNC’s athletics program that uncovered academic misconduct involving an undergraduate student tutor and some players on the football team. That investigation eventually resulted in sanctions against the University and sparked several spinoff inquiries into possible academic fraud. The University currently is waiting for the findings of an independent investigator it hired to look into all aspects of the academic fraud, including its origins. That report is expected sometime this fall.